HomeCool StuffWill This Pancake Printer Revolutionize Breakfast? 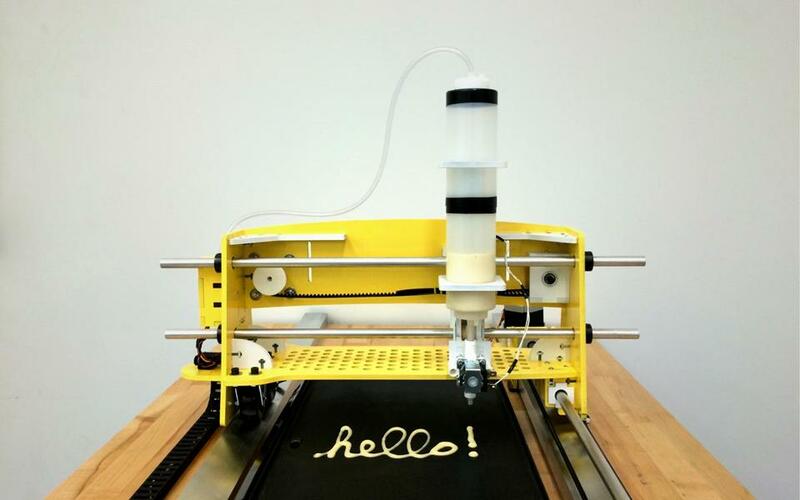 A team of students at Olin College of Engineering have built a pancake-printing machine. Yes, you read that correctly. It’s a device that prints pancakes onto a griddle from images you can design on a computer. The pancake printer uses a condiment bottle filled with batter that shifts back and forth over the griddle to create the operator’s desired shape. It works in conjunction with a computer program — also created by the students — that allows an artist to design patterns. The machine then takes the image and replicates it on the griddle. To create the clean lines of batter desired for the designs, they used two bottles to achieve the perfect batter flow rate. Sure, the idea seems a little silly, but it’s really all about STEM. The students came up with the machine in their final project in their Principles of Engineering class last semester, attempting to inject a little fun in an otherwise dry subject. that batter looks really lumpy. Huh. I think that’s my standing point right now.